Back in January when I put together a list of bands that I thought should get a lot of attention in 2012, I had no idea how proud they would make me. Three months into the year and I’ve already heard a ton of great music out of these 12 groups. Oh! 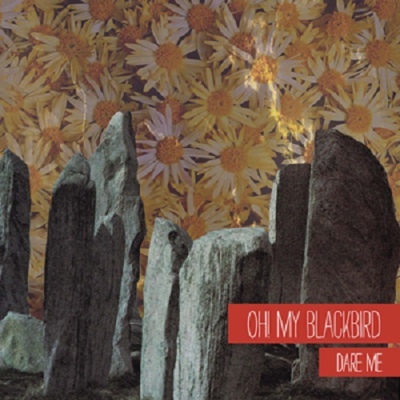 My Blackbird, a trio from Brooklyn, has proven me right yet again with their debut full-length Dare Me. The group first came to my attention when they had a song on the Mama Coco’s Funky Kitchen compilation that I reviewed last year. That tune, “True Story,” was a sunny bit of 60’s pop that stuck with me and I couldn’t wait to hear more from them. Unfortunately, the Internet was in short supply of Oh! My Blackbird, so I had to wait until the official release of their album. The album kicks off with the title track featuring a layered cello before kicking in with an aggressive string riff and moves into the bands signature glorious harmonies. “Dare Me” is a great introduction both musically and thematically for an album as steady in its narrative and it is volatile in style. There are no bad songs on the record, so I’ll highlight a couple of my favorites here. First, maybe the best moment on the album comes on what I can only imagine would be the lead single if this were headed out to radio stations, “Faking.” It’s the longest song featured on Dare Me, and my only problem with it is that it’s not longer. If you’re looking for one song to tell you what Oh! My Blackbird’s music is like, this is it. I’m more impressed with the work done on Dare Me every time I listen to it. Producer Oliver Ignatius has helped the band craft a record that perfectly captures what they’re all about. After a few delays the album is available on their Bandcamp page for $5, and I highly doubt that you could spend that amount more wisely. Pingback: Oh! My Blackbird-Violet EP | Music. Defined.